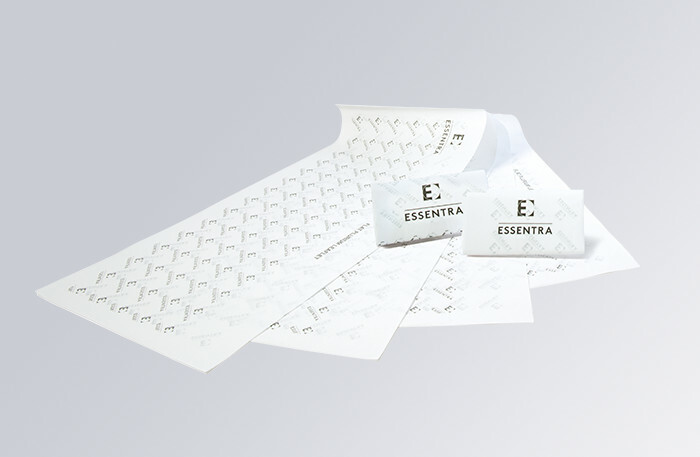 Plurium™ is Essentra’s patented multipage folded booklet / leaflet. It enables large volumes of information to be displayed at compliant font sizes. It comprises up to five sheets (10 printed pages) that can be colour coded to highlight different sections and is glued at the spine. The leaflet format can be supplied as pre-folded with different dimensions and page counts including parallel-folded, cross-folded, Vijuk sheet leaflet, and tagsert or outsert using up to 50gsm stock. It is also available in flat-form reel, which obviates the need to change the settings or the size of folding machines. Plurium™ can also be supplied with a board cover, which can be affixed within carton packaging for easier processing.